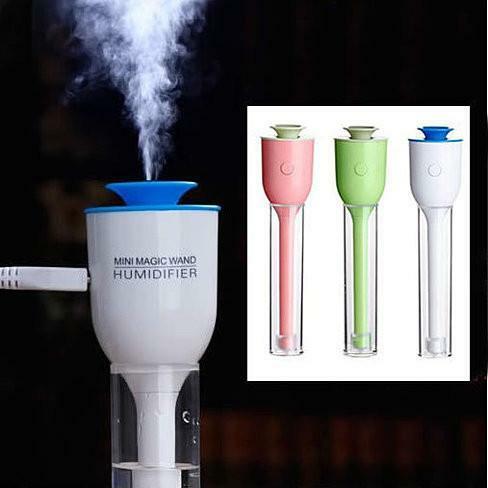 Tulip Magic Wand Personal Humidifier & Diffuser. 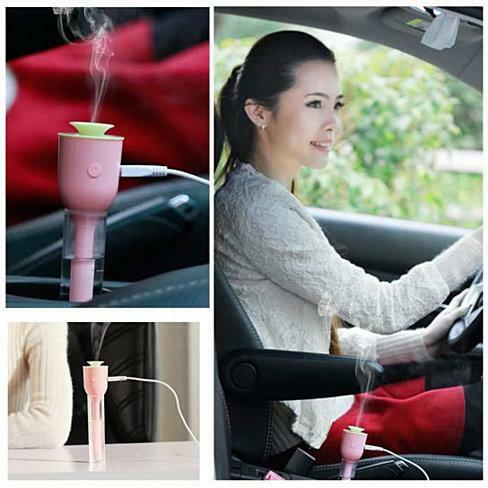 Get a fresh moist air feeling that is just for you on your night stand, your table, even in your car! 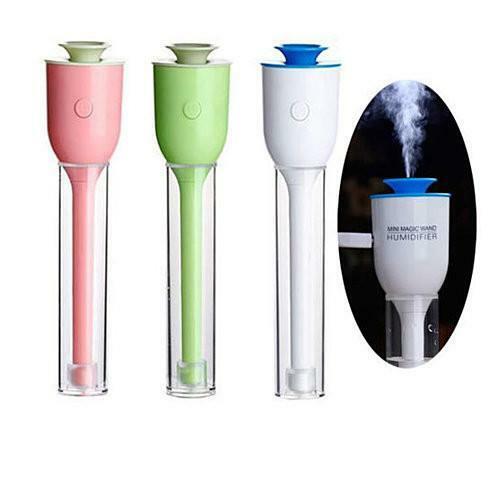 This mini tulip shape magic wand humidifier will make you feel good. It has a 300 ml capacity for water , just put in the tap water and a couple of drops of your favorite aroma if you like you will enjoy 1 to 2 hours of fresh feeling that will last you whole day. To keep it going longer, just remove the clear tube that holds the water and drop it in a larger cup or bottle and it will continue as long as the water lasts and then it will shut off automatically. 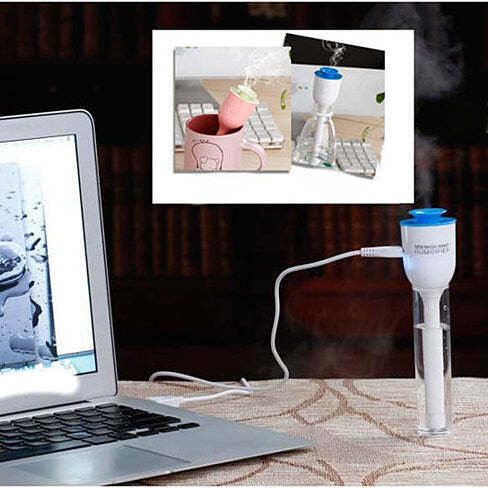 The Humidifier plugs into any USB port to power it. You do get the USB cable with the humidifier. Get rid of stuffy nose, it is also great for many breathing and anxiety related health problems. Tulip Magic Wand comes in 3 colors: Pink Tulip, Lime Green Tulip and White Tulip. Details: Tulip Magic Wand humidifier has built in micro filter and works with regular tap water. Water holding tube is 300 ml. Auto shut off feature shuts the humidifier off when water is finished. Comes with USB power cable. A Portable Personal Humidifier that fits in your purse or pouch. Great for gift giving.